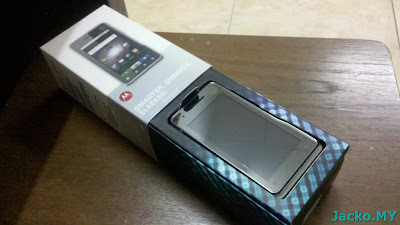 Jacko.MY: Motorola XT720. Smarter, Sharper & Sleeker. 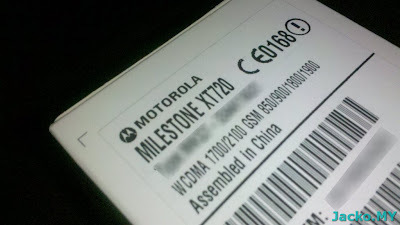 Motorola XT720. Smarter, Sharper & Sleeker. Okay, now I have 3G/HSPA and I can roam globally without problem! 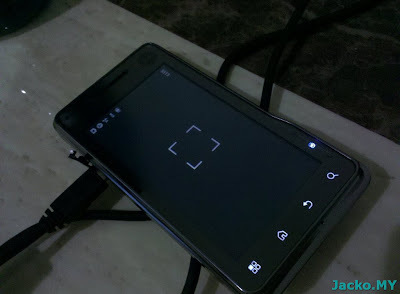 Motorola should learn from c902 that have touch sensitive for these functions. Anyway, it supports 6x digital zoom through the volume up/down button shown above. 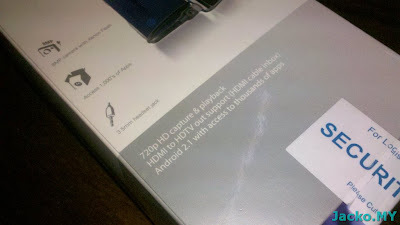 Well, I believe the HDMI port is more for playback of recorded video to HDTV. Perhaps I shall try out if this piece of hardware is capable of playing 720p movie file. 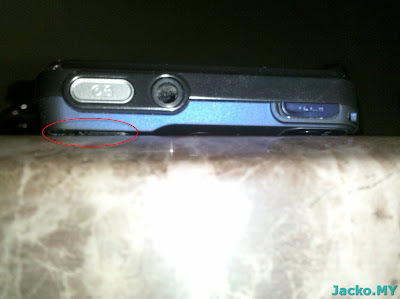 Turn to the back, the battery compartment, a GSM SIM card slot and micro SDHC slot. 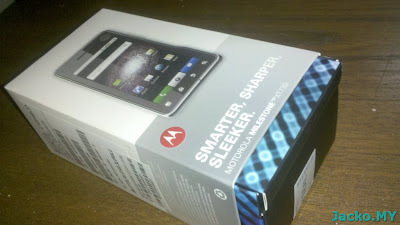 It comes with 8GB class 4 in the box. 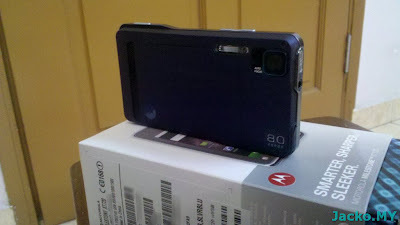 I should have mentioned this much earlier, the 8MP camera is equipped with a xenon flash light! 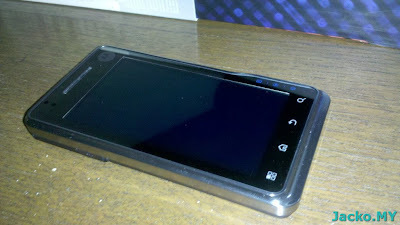 The first ever Android phone with xenon flash, according to Motorola. A camera-like design. Don't you think it looks like a Sony T series Cybershot? When you put the phone on a table, the lens is the support base to the entire phone. So be wary if you are resting it over a rough surface, unless Motorola tell us that the lens cover is built with the same anti-scratch material like Rolex watches. You also risk the chrome body and touch screen (lower risk with screen protector) if you rest the phone upside down. Therefore, a case is a must for this phone. Stop for now, I shall not hold the next part too long since I am closing out the Mega Project.